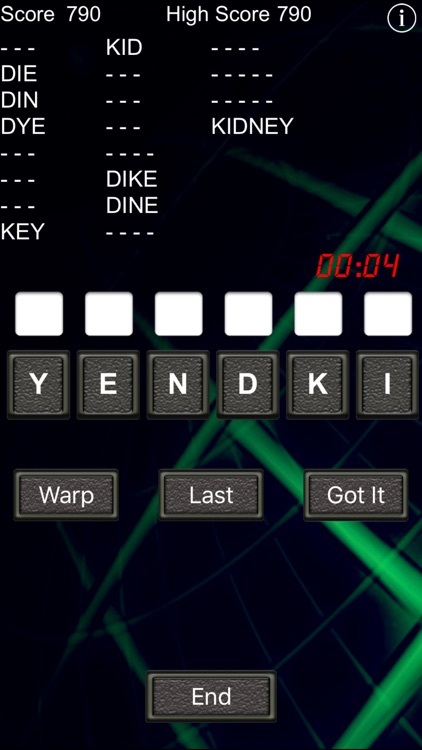 How many words can you make with these letters: A E R K R D? 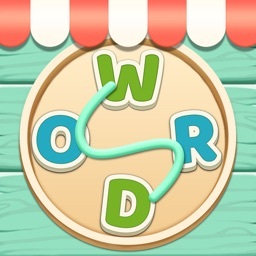 Try it out by downloading Word Warp for FREE! 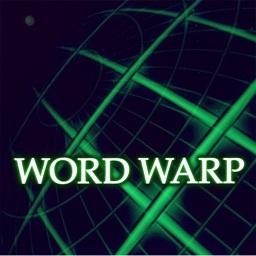 If you love word games, Word Warp will deliver with endless hours of fun. 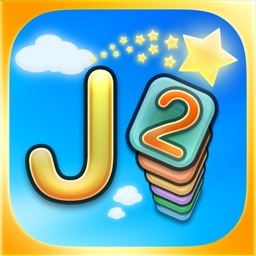 Exercise your brain with countless rounds of challenging word puzzles. 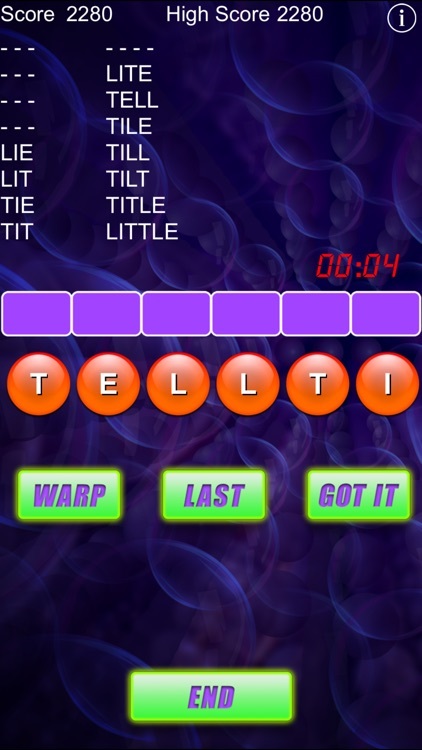 Word Warp has NO level blocks, so you can play without buying more lives! In Word Warp, you are given 6 letters for each round that you may scramble (or "warp"). 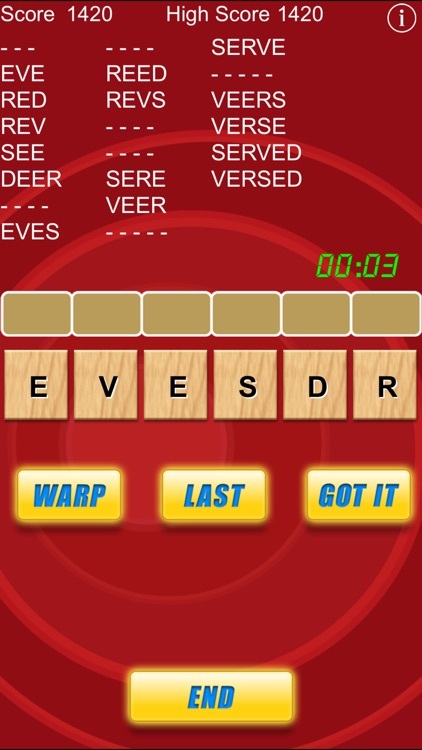 For each correct word, you will receive 10 points for each letter in the word. 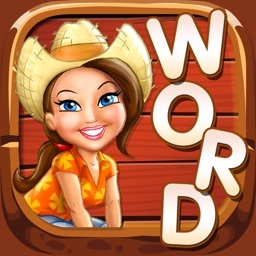 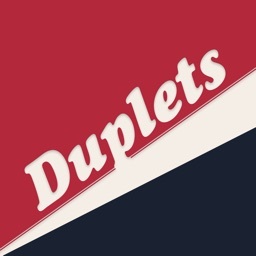 Complete all the words in each round to receive an additional bonus of 10 points per word! 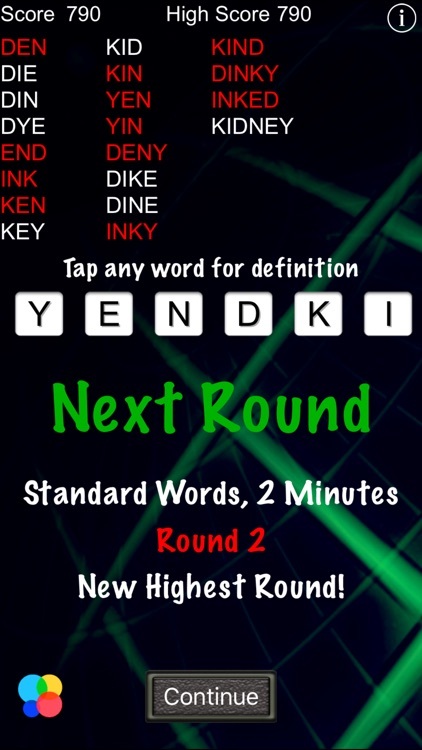 How many rounds can you complete before it's game over? 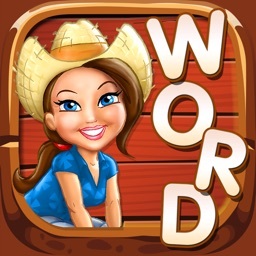 Play at home or on the go; Word Warp is the perfect game for playing anywhere, even if you're offline!